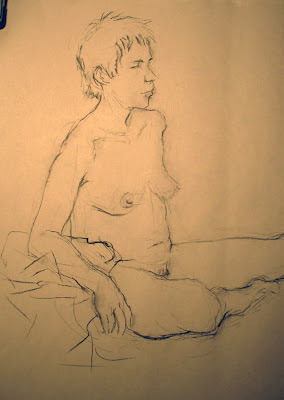 I've started taking a life drawing class a few weeks ago. Two first ones were 15 minutes poses, bottom one was 5 minutes. Je vais à un atelier modèle vivant depuis quelques semaines. 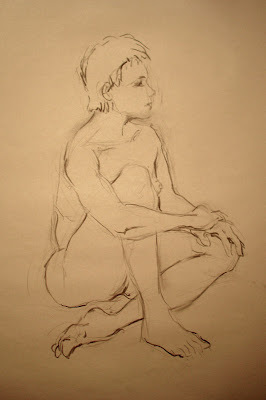 Les deux premiers dessins sont des poses de 15 minutes, celui du bas, une pose de 5 minutes. mercredi, mars 07, 2007 3:12:00 p.m.
jeudi, mars 08, 2007 1:25:00 p.m.
ey Christophe...nice to see you're back at life drawing. we are doing my doggy 2 now so was playing version 1 this week and seeing all the stuff you did for it. It bought back memories...not so good ones for you maybe :p ..it was strange seeing them on the emulator. I'd only seen them on pc screen. vendredi, mars 09, 2007 3:37:00 p.m.
vendredi, mars 09, 2007 11:31:00 p.m.